Known for manufacturing and supplying a wide assortment of high quality Stainless Steel Products, Siddhitech Stainless Company was set up in the year 2012. 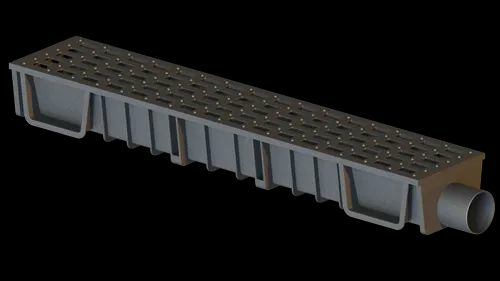 Highly in demand, our offered products include Floor Drains, Channel Drain, Fabrication Services and many more. All the products offered by us are manufactured using high grade stainless steel and other raw material that is sourced from trusted vendors of the market. Moreover, catering to the specific requirements of clients, we offer our products in a number of customizations. These customizations are based on sizes, designs and shapes, thus offering clients a wide range to have a choice. Appreciated for their durable finish, anti-corrosive properties and elegant designs. We have been equipped with some of the latest equipment and machines that assist us in bringing forth a large product line of standardized products. It is the continuous and dedicated efforts of all our team members that make us meet the specific requirements of the customers, within the committed time frame. Maintaining the quality standards of the firm, we make sure to follow strict measures throughout the business process. Moreover, keeping in mind convenience of the clients, we accept payments via varied easy modes like Cash, Cheque and DD.